Jeanette – Ga.: My mom had a stroke in 2013. Since then, I have had to pretty much give up my income in order to be at home with my mom. She needs help with everything. She can only be left alone for small increments of time. My daughter has dropped out of college to help. My husband has been working 65 to 80 hours a week to make up for the income I can’t bring in. Phil Moeller: I am so sorry to hear about your mom’s problems and wish I had a wonderful solution. I do not. Medicare does not cover at-home caregiving unless it is medical in nature and prescribed by a doctor or other licensed caregiver. It does not cover what’s known as custodial care, which it sounds like what your mom needs. I have written about this before, but it deserves wider attention in Washington. Your problems perfectly explain why new Medicare rules to allow coverage of non-medical expenses are so important. Medicaid does provide custodial care for those low-income Medicare beneficiaries who qualify. Medicaid eligibility varies by state. The State Health Insurance Assistance Program (SHIP) provides free Medicare counseling and should have someone in a Georgia office who can help you. There also might be helpful advice from the Georgia outlet of the National Association of Area Agencies on Aging. If she does qualify for Medicaid, there are some adult daycare programs that might help her. The best one I know about is called PACE, which stands for Program of All-Inclusive Care for the Elderly. It can provide high-quality care for your mom during the day. As you’ve learned, this is hard territory to navigate. I wish you well and thank you and your family on behalf of all older folks who hope their kids will step up the way you have. Please let me know how things turn out. Private insurers who sell Medigap plans price their plans to make a profit. Marilyn – Ill.: Why does the Medicare Part B premium cost me less than my Medigap premium? Medicare covers 80 percent and the supplement covers 20 percent, yet the supplement premium costs more than the Part B premium, which is $134 a month. Phil Moeller: Great question! The answer is that the government heavily subsidizes Part B expenses. Your Part B premium pays only 25 percent of the government’s Part B expenses. Private insurers who sell Medigap plans are just the opposite — they price their plans to make a profit. Nancy – N.J.:	I read that there is a new law lifting caps on physical therapy, yet after reaching my limit, I was required to sign a paper saying that I agree to pay if I want to continue getting therapy. What’s going on here? Phil Moeller: The therapy caps have been lifted, so it’s not clear to me why you are having this problem. Perhaps your practitioner is not aware of the change? Here is Medicare’s description of the new policy. Marfisa: I was born in 1951. At 67, I am entitled to $2,614 a month but plan to wait until I am 70 to collect $3,255 a month. (I have long life in my family.) My husband was born in 1952 and is entitled to $1,865 a month at age 66 and $2,462 a month at 70. We are doing okay with my teacher’s pension and savings but wonder if it makes sense for my husband to file for Social Security and then stop his pension while I collect his spousal benefits? In addition, what would he get a month if I predeceased him after I turned 70? Phil Moeller: Your situation appears tailor-made for your husband to file and for you to file a restricted application to collect just your spousal benefit while deferring your own retirement benefit to age 70. This option was grandfathered into new Social Security rules enacted in late 2015 but is not allowed for people who were not at least 62 years old as of early 2016. As to his pension, I am not sure why he would need to stop his pension if he filed for Social Security. Private-sector pensions are normally not affected by Social Security filings that occur at full retirement age or later. If you or your husband have public-sector pensions, your Social Security benefits might be reduced because of Social Security’s windfall elimination provision (WEP). However, based on your projections of your Social Security benefits, it appears that both of you have worked long enough at jobs where you paid Social Security payroll taxes so that you would not be affected by the WEP rules. When you die, your husband would receive the family’s largest benefit, which would be yours — $3,255 plus any annual cost of living adjustments. Carole — France: Do you have to sign up for Medicare during the “turning 65” window (to avoid penalties) or can you wait if you are an expatriate covered by health insurance abroad? Any valid employer group health insurance coverage — here or abroad — is sufficient to let you defer signing up for Medicare. 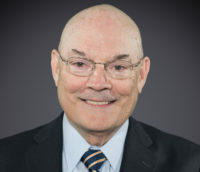 Phil Moeller: Medicare says that any valid employer group health insurance coverage — here or abroad — is sufficient to permit a covered individual to defer signing up for Medicare when they turn 65, and instead to receive an eight-month special enrollment period when they later lose that coverage, due either to retirement or leaving their job for other reasons. Social Security has consular offices in most countries, and there should be one in France staffed with someone familiar with French health insurance and Medicare enrollment rules. If not, you can always call the agency or even email it to raise this issue. Marc – Calif.: My fiancee is receiving Medicare (she is over 65) from her deceased husband. Will she lose her Medicare benefits when we marry? Phil Moeller: Medicare does not have any family benefits but only insures individuals. 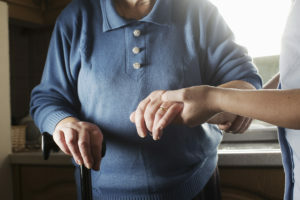 It is possible she is getting some type of retiree health benefits from her late husband’s former employer, but this would not be related to anything that Medicare would directly provide. If that’s the case, she should speak with someone involved in that plan and find out how remarriage would affect her eligibility. Otherwise, I don’t see how marriage would affect her Medicare at all. Alice: I had 20 years of significant earnings before working for a government agency. I am 66 and will wait until 70 to collect my Social Security. My husband, who is 63, would like to collect on my record and collect on his record when he is 67. If he does this, how would Social Security calculate his benefit? Phil Moeller: Unfortunately, your question is moot here. Your husband cannot claim a spousal benefit until you have filed for your own benefit, which you do not plan to do until age 70. And even you filed sooner, his filing for a spousal benefit would automatically trigger his filing for his own retirement benefit. He then would be entitled to receive the higher of the two benefits, but not both of them. Normally, I recommend that the spouse with the higher Social Security earnings record wait until 70 to file. This will guarantee that the surviving spouse will receive the largest possible survivor benefit, regardless of which spouse dies first. Of course, different ages among spouses and the realities of health and financial needs often get in the way of theoretical advice!